The Governor said that he had reports that some government officials while returning home would indulge in pelting stones at security forces and get a payment of Rs 500 for doing so. 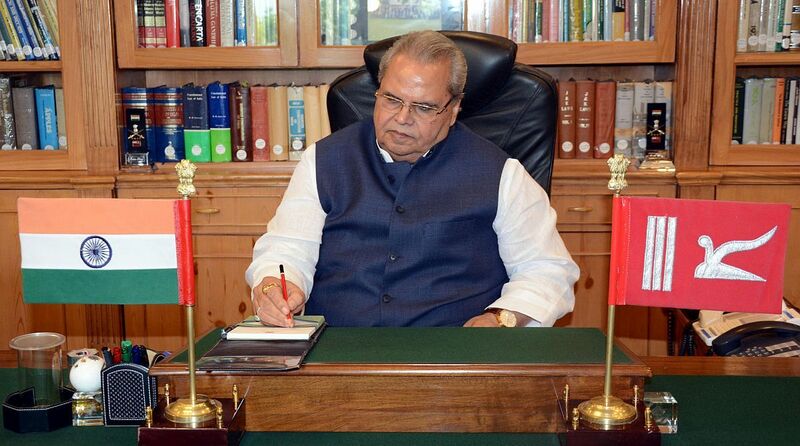 Governor Satyapal Malik was on Sunday trending on the social media with a large number of people appreciating the expose by him about the corrupt practices and serious irregularities in the Constitutional body of J&K Public Service Commission (PSC), J&K Bank, and several other institutions of the state in making recruitments for various posts and also appointing people with terrorism backgrounds as teachers. Malik, who became Governor about two months ago, has made it clear that the top bureaucracy won’t go unpunished if found involved in scams or corrupt practices. Talking about the alienation of the youth, Malik has also held the Mehbooba Mufti-led BJP-PDP government of having dumped in dustbin the entire list of 582 candidates selected through rigorous examination procedure for jobs in the state-owned J&K Bank and replacing it with nominees of politicians and influential persons. The Governor also exposed a candidate, who did not even appear for the competitive examination for the Kashmir Administrative Service (KAS), has been declared successful by the PSC. It is worth mentioning that the credibility of the PSC has been questioned as the government has failed to take action in the case pertaining to forging of signatures of a member. The forensic science laboratory of the government had about two years ago confirmed in its report that the signatures were forged. Talking about the shortcomings of the previous government, Malik said in an interview that teachers with terrorism background were recruited in the education department who indulged into preaching fundamentalism to the young students. He warned that there will be no dialogue with the Hurriyat leadership unless they shed the baggage of Pakistan that they were carrying. Malik, without identifying his advisor and some top bureaucrats who misinformed him about the decision of the government about the tie-up with Anil Ambani’s mediclaim company, said they will be punished once the report of the Anti-Corruption Bureau was received. He regretted that not even a single valley based political party had uttered a single word against stoning to death of a 22-year-old soldier. Although 7 civilians in Kulgam were recently killed due to their own fault of entering the encounter spot without the place being sanitised by security forces the government granted ex gratia of Rs 5 lakh to the next of kin of each killed. Reacting to Governor’s expose, former chief minister Omar Abdullah tweeted, “More skeletons fall out of the cupboard- PDP-BJ_ changed entire selection list of J&K Bank to appoint favourites: Guv”. The J&K Congress on its official tweeter handle said, “Another organisation PSC destroyed by appointing mediocre people with PDP+BJP loyalities”. J&K Civil Secretariat Employees Union chief Ghulam Rasool Mir has demanded an independent inquiry into the recruitment scam. Chairman of the J&K Bank cannot escape the responsibility of betraying the public trust, he said. Social media was flooded with the demand for strict action against those involved in scams that have created frustration among the youth and doling out scandalous benefits to Anil Ambani’s company.